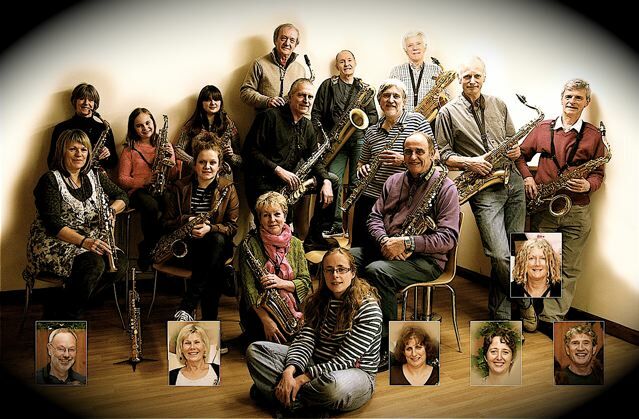 Last week the saxophone choir of which I am a small part took part in the Devon Performing Arts Festival in Exeter. It’s astonishing how playing a Queen number for three minutes before judges was so much more tiring than belting out rock for a paying audience for 2 hours was, in my other band, the weekend before. We were pipped to the top place in our section by a senior school sax group led by the same director as ours, which doesn’t surprise me as they were awfully good. But then, whilst a 20-piece sax consort like ours has an awful lot of clout, it’s correspondingly hard to control, and we’re at the mercy of our weakest members. C’est la vie – that’s what a local amateur outfit means. So I was unable to entitle this We Are the Champions, though heads were banging in best Wayne’s World style. However, it was personally gratifying as the adjudicator complimented my arrangement of Bohemian Rhapsody and also my soprano sax solo in the vein of the Astrophysicist with Big Hair. Since the adjudicator himself is a published composer and head of composition at a prestigious music school, as well as doubling on sax himself, it was an encouragement. That’s why I was motivated to work on another arrangement for Many Saxes for the rest of the week, and why I’ve not posted on here in a few days. There may be some stuff to comment about in due course about Gertrude Himmelfarb’s biography of Charles Darwin. Selfishness in evolution: which self?